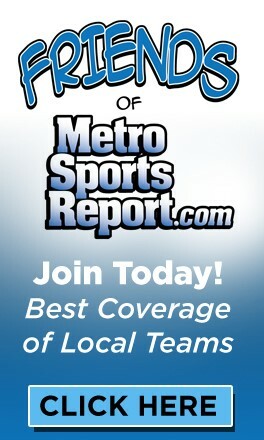 MINNEAPOLIS - The Cedar Rapids Kernels fell one game short of a Midwest League championship this season following an emotional one-run loss to West Michigan. One day later, Kernels Manager Jake Mauer was in the Minnesota Twins dugout beginning a two-week term as a supplemental coach on the Twins’ bench. Thanks to that assignment, Mauer had a first-hand view of the Twins’ surprising but ultimately ill-fated playoff drive. The Twins were eliminated from postseason contention Saturday following a loss to Kansas City in the next-to-last game of the regular season. 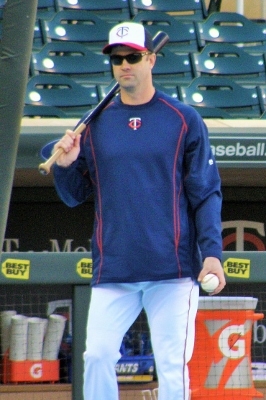 The stint with the Twins was Mauer’s first opportunity to work with the big league team. Mauer, who has coached and managed at three different minor league levels in the Twins organization over the past decade, had the opportunity to get a close-up look at a number of his former players, including three members of his 2013 Cedar Rapids Kernels squad with Tyler Duffey, Byron Buxton and Max Kepler. While there may be a sense of pride in Mauer, similar to what a school teacher might feel at seeing former students grow to become successful adults, the Kernels skipper was quick to point out that each Major League player gets help along the way from a lot of people. “There’s a lot of guys that have their fingerprints on guys,” Mauer pointed out. “Granted, these guys are all supremely talented, there’s no doubt about it. “But that’s what’s neat with the minor leagues, each level you go to and each person you play for is going to have a different personality and the way they run teams and the way they approach the game. Some guys may be more aggressive than others, other guys may be more power oriented. Whatever it is. “Part of it, too, is learning how to adapt yourself, how you fit on a team. I’m sure Miguel Sano (the Twins rookie designated hitter) has never DH’d this much in his life and that’s how he fits on this team. He’s done a really nice job and it’s been a new experience for him. Of course, the Twins didn’t bring Mauer to Minneapolis just to watch his former players play baseball. He has normal coaching duties and he was also there to learn more about how his chosen craft is performed at the big league level. After all, Mauer, like his minor league players, would ultimately like to land a position with the Twins’ Major League staff at some point. On game days, Mauer hit ground balls to infielders, much the same way he does during batting practice with the Kernels before each game. But much of his work took place behind the scenes in the batting cages and elsewhere. It’s not at the same level, but technology and the information it can provide about pitchers, hitters and fielders is increasing at the minor league level as well. 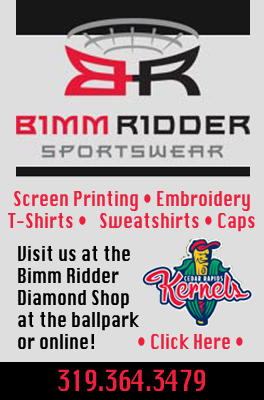 The Twins organization and the Kernels coaches benefited from the installation of TrackMan technology at Veterans Memorial Stadium in Cedar Rapids this past season. Mauer acknowledged that the use of such technology is increasing, even at the levels at which he’s been managing. A side benefit of Mauer’s time with the Twins has been getting to spend time with his brother, Joe Mauer, the Twins’ veteran first baseman. Other than the rare injury rehabilitation assignment, such as the one that saw Joe spend a few days playing for his brother in Cedar Rapids in 2014, the two brothers have not regularly shared a dugout since they were minor league teammates. Typically during the season, they would talk on the phone once or twice a week. That obviously changed over the past two weeks. “Yeah, we hung out on the road (during the Twins' recent trip to Cleveland and Detroit),” Jake Mauer said. “It’s just kind of nice to reconnect and catch back up and see the things that he’s got to go through to prepare to play and what he does. While the 2015 season has wrapped up, Mauer said he doesn’t know whether he’ll be assigned to manage the Kernels next season for the fourth year in a row. Last year, the Twins didn’t announce their minor league managing and coaching assignments until the week before Christmas, but Mauer doesn’t expect the assignments to take as much time this year. 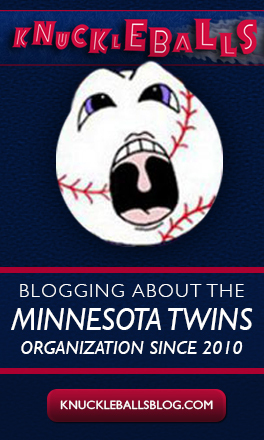 The difference is that, this year, the Twins won’t be conducting a search for a new manager and coaching staff for their big league club.